Episode I: Who wishes to speak? 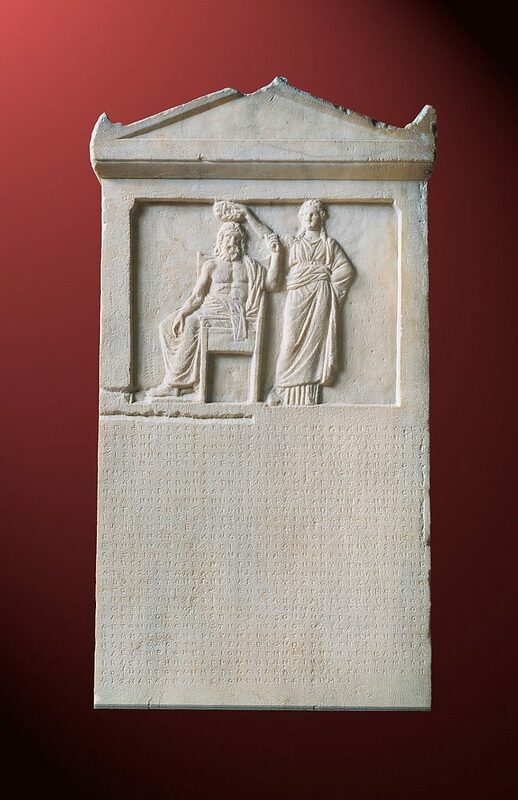 Ancient Athens was the birth place of equal and uninhibited speech – Isegoria and Parrhesia in ancient Greek. What did free speech entail for comedians, philosophers, orators and ordinary citizens in ancient Athens? How was free speech threatened by oligarchic coup d’etats? 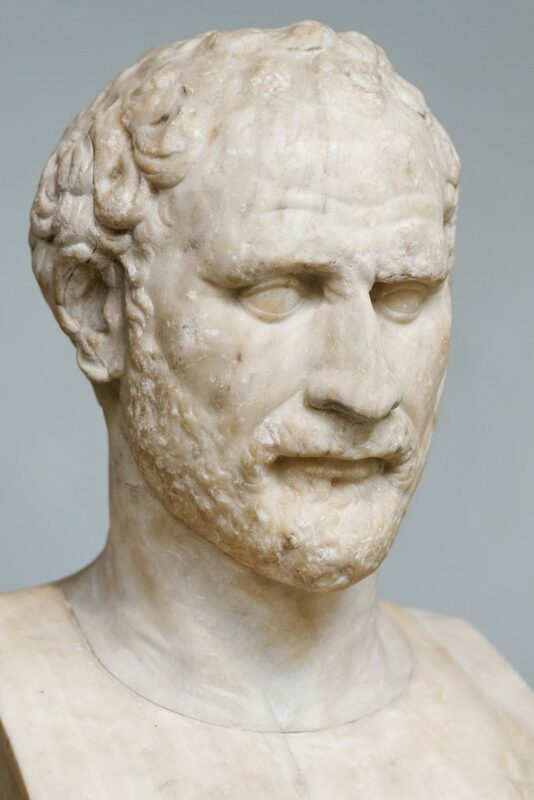 How long was Demosthenes willing to go to become one of the greatest orators in ancient history? And was Socrates a martyr for free speech or a seditious enemy of democracy? Find out in Episode I. 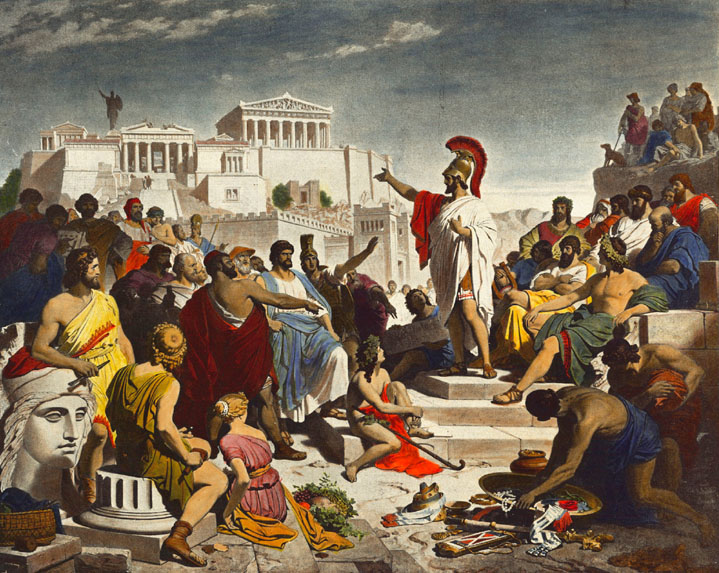 In 508, the Athenian statesman Cleisthenes implements a series of democratic reforms. They conventionally mark the birth of Athenian demokratia. Athen’s defeat in 404 brings about the oligarchic regime of the ’Thirty Tyrants’. The first time we encounter the term parrhesia or ‘uninhibited speech’ in Greek literature is in the tragedies of Euripides. The playwright refers to parrheria in six of his plays: The Phoenician Women, Hippolytus, The Bacchae, Electra, Ion, and Orestes. 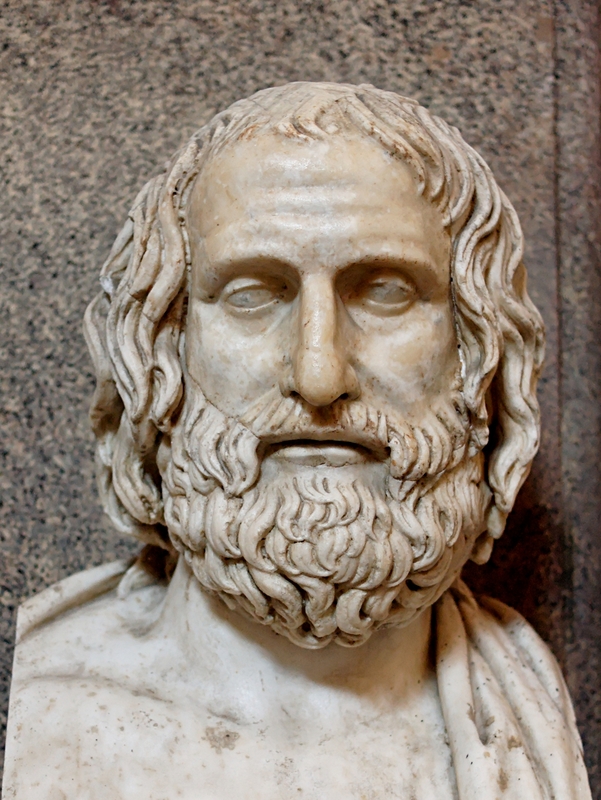 According to Euripides picture of Athens, all free men can speak freely when debating public issues. 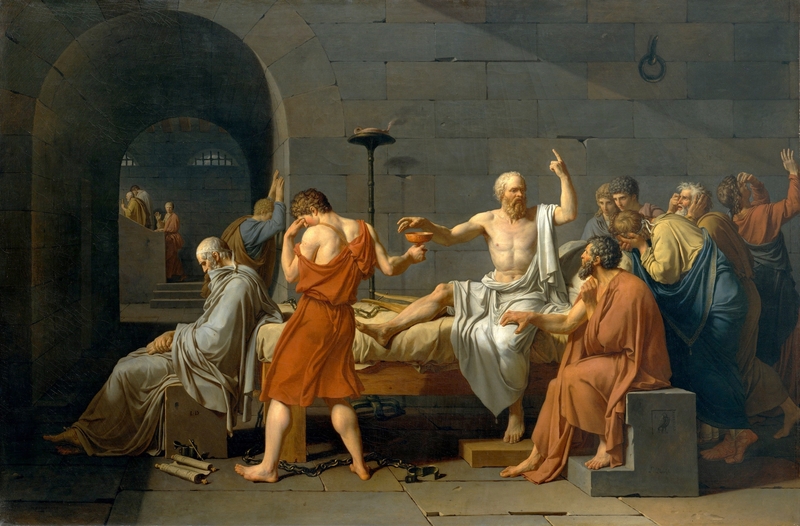 In 399, the philosopher Socrates is found guilty of ‘introducing strange gods’ and ‘corrupting the youth’. He is sentenced to death by drinking poisonous hemlock. 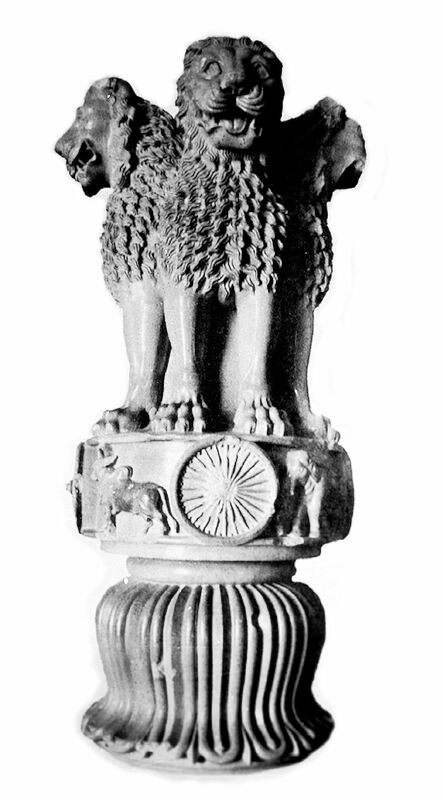 Read Ashoka’s edicts in full here. The orator Demosthenes makes more references to parrhesia or ‘uninhibited speech’ than any other ancient Athenian. When the Macedonians crushes an Athenian uprising in 322, he commits suicide by drinking poison. 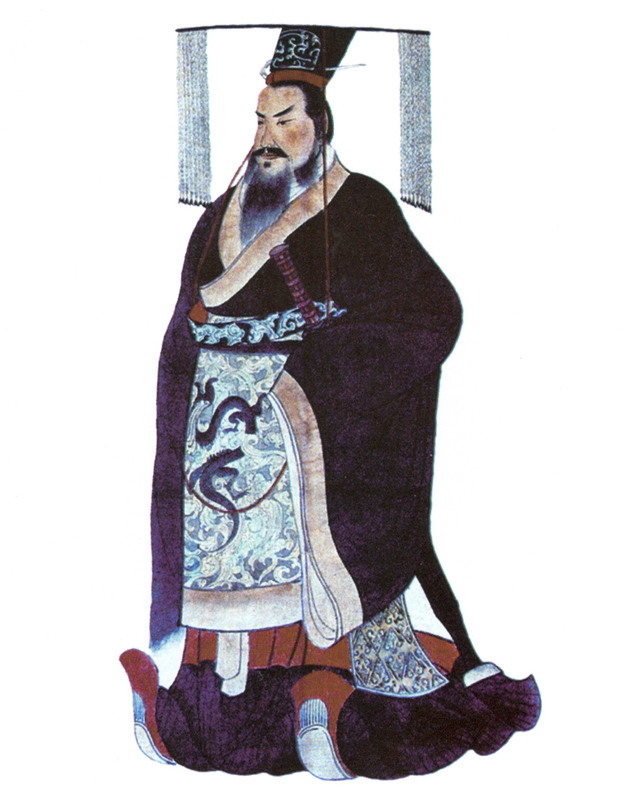 Around 213 BC, China’s first emperor Qin Shi Huang orders a great bonfire of books on history, poetry and philosophy. The book burning is the first in recorded history. Episode II: Liberty or license? Rome was the most powerful empire in antiquity. But were the Romans free to speak truth to power? Did history’s first successful Women’s March take place in Rome? And who came out on top when the words of Cicero clashed with the ambition of Caesar and armies of Octavian? Why did historians and astrologers become endangered species when the Republic became an empire? Find out in episode II of “Clear and Present Danger: A History of Free Speech”. According to Roman legends the republic is born in 509 BC, when the Romans expel their last king and swear an oath never to be governed by a king again. Liberty or libertas is born with the republic. 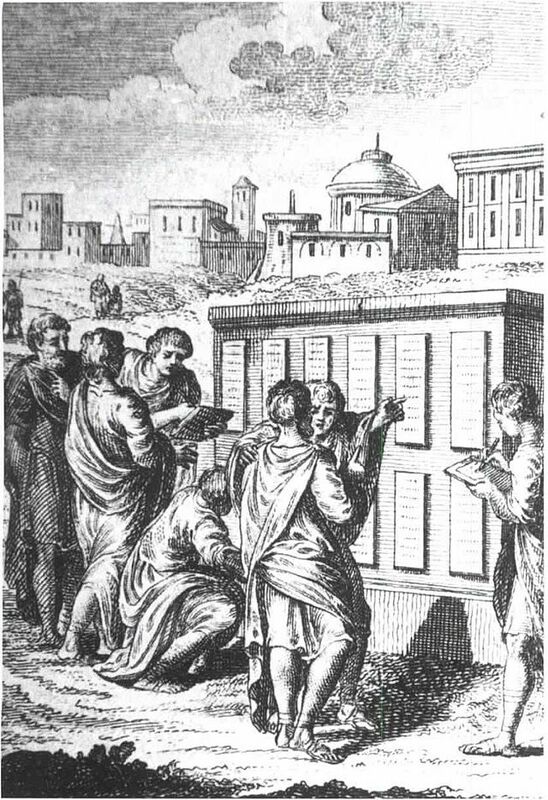 The Romans write down their first legislation on twelve bronze tables around 450 BC. Table 8 1A limits free speech by punishing slanderous and libellous words with death by clubbing. The Gracchi Brothers wreak havoc in the Republic in the late 2nd century. 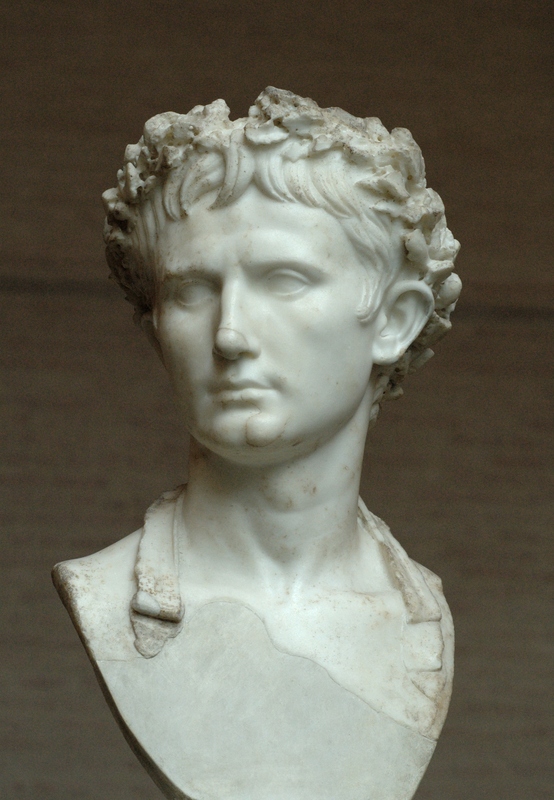 In 133, Tiberius uses his powers as tribune of the plebs to launch a popular land reform. According to the historian Plutarch, the land-owning Senators strike back and club him to death with the leg of a bench. His followers are clubbed and stoned to death. A decade later, his little brother Gaius takes up the popular cause and launches a new land reform. With a bounty on his head, he orders a slave to kill him. 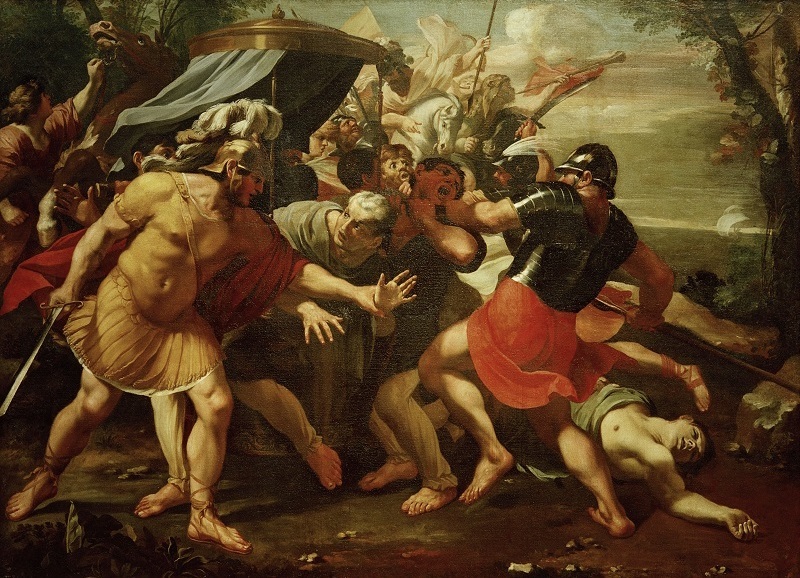 According to Plutarch, 3,000 of his followers are executed and thrown into the Tiber without a trial. Read Plutarch’s history of Tiberius and Gaius here. 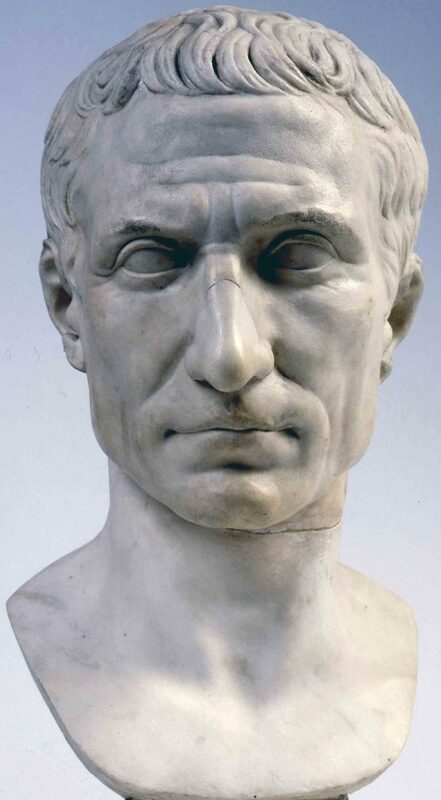 The statesman and general Julius Caesar plays a key role in the fall of the Roman Republic. In 44, he appoints himself ‘dictator indefinitely’. Two months later he is assassinated by a conspiracy of republican senators. 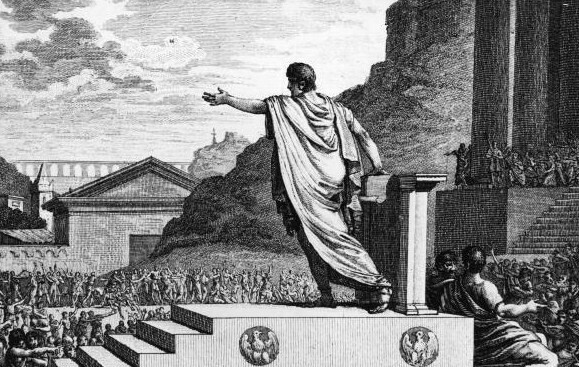 The orator and statesman Marcus Cicero harnesses his silver tongue to defend libertas and free speech during the unrest of the 40s BC. He is assassinated in December 43. According to the historian Cassius Dio, his tongue is symbolically pierced with a hair pin. His body parts are displayed on the speakers’ platform in the Forum Romanum. Cato the Younger is an indomitable defender of libertas and free speech. According to the historian Cassius Dio, he pulls out his own intestines when Caesar wins the Civil War and deals the deathblow to the republic. In 27, the general and statesman Octavian elevates himself to ‘Augustus’ and becomes Rome’s first emperor in everything but name. Between 6 and 8 AD, he introduces punishments for ‘literary treason’ and calls for the burning of illegal texts. 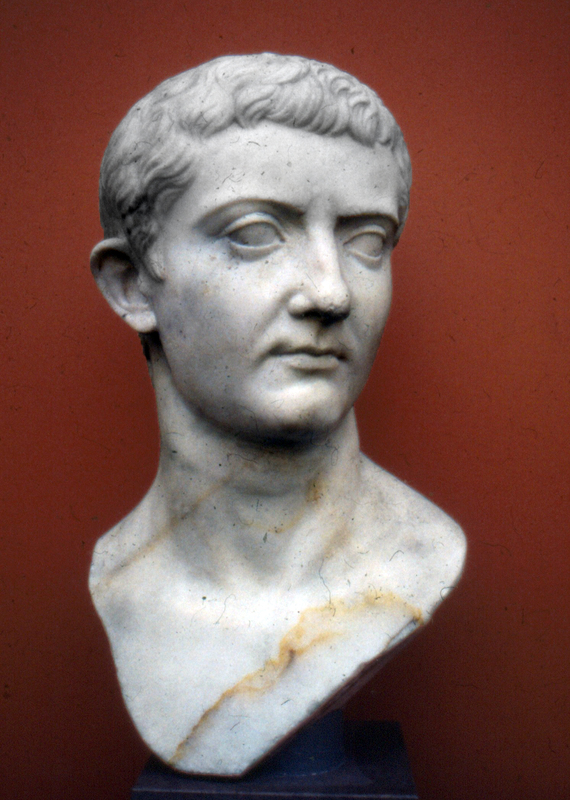 Augustus’ successor Tiberius limits free speech by executing speech crime offenders and burning the entire works of seditious writers. In 23 AD, the poet Aelius Saturninus is hurled to death from the Capitol Hill for “reciting improper verses about the emperor”. 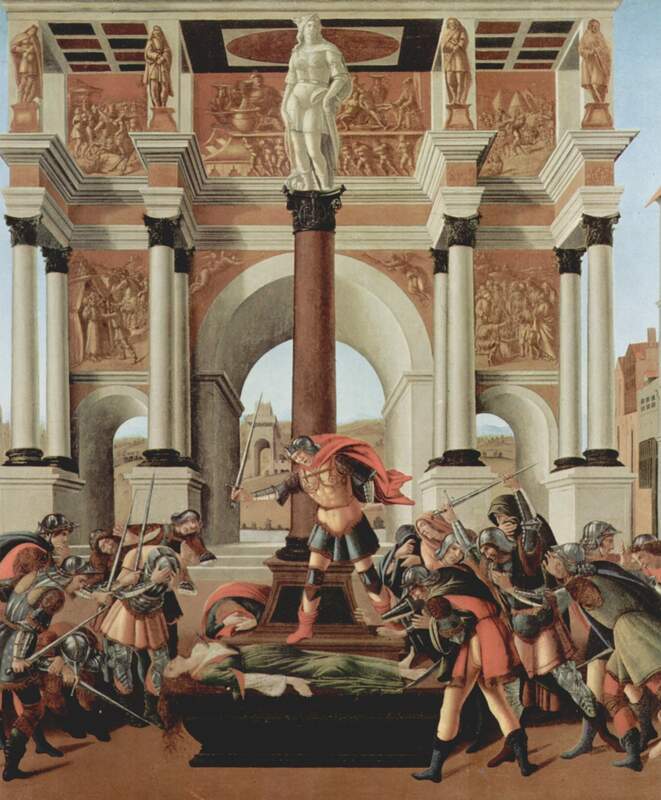 In 25, the historian Cremutius Cordus is convicted for declaring Caesar’s assassins “the last of the Romans”. In 25 AD, the republican historian Cremutius Cordus is convicted of literary treason. 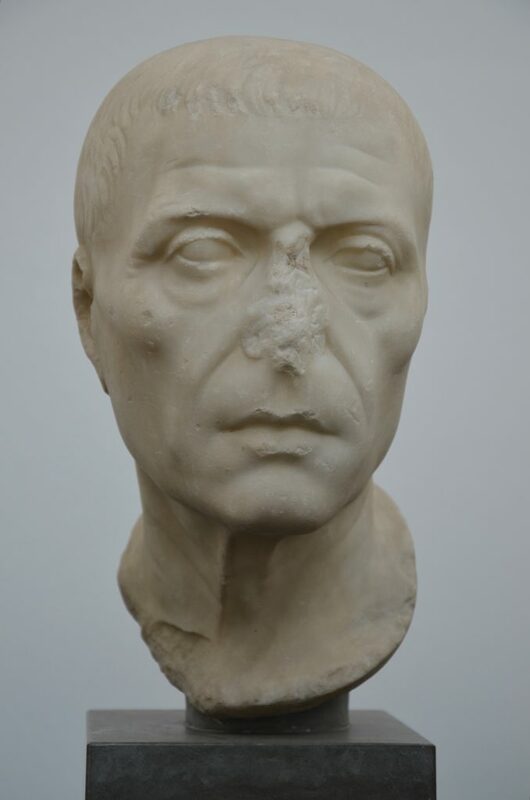 His crime is celebrating Caesar’s assassins, Brutus and Cassius, as the ‘last Romans’. Facing a death sentence, he decides to starve himself to death. All his books are burned and banned. Why did the polytheist Ancient Romans persecute the followers of the new Jewish sect of “Christians” in the first three centuries AD”? How high was the price that Christians had to pay for casting away their ancient religious traditions for the belief in salvation through Jesus Christ? Did Roman Emperor Constantine end religious intolerance with the Edict of Milan? And why did the Christians persecute the pagans – and each other – once Christianity became the state religion of the Roman Empire? Why were temples and libraries destroyed and the female mathematician Hypatia killed by violent mobs? And did Emperor Justinian really end antiquity when he closed the Academy in Athens? Find out when we discover how religious persecution and violence impacted lives, learning, and liberty of conscience in the period from the trial of Jesus to the age of Justinian. The Age of Persecution. That’s episode III of “Clear and Present Danger: A History of Free Speech”. 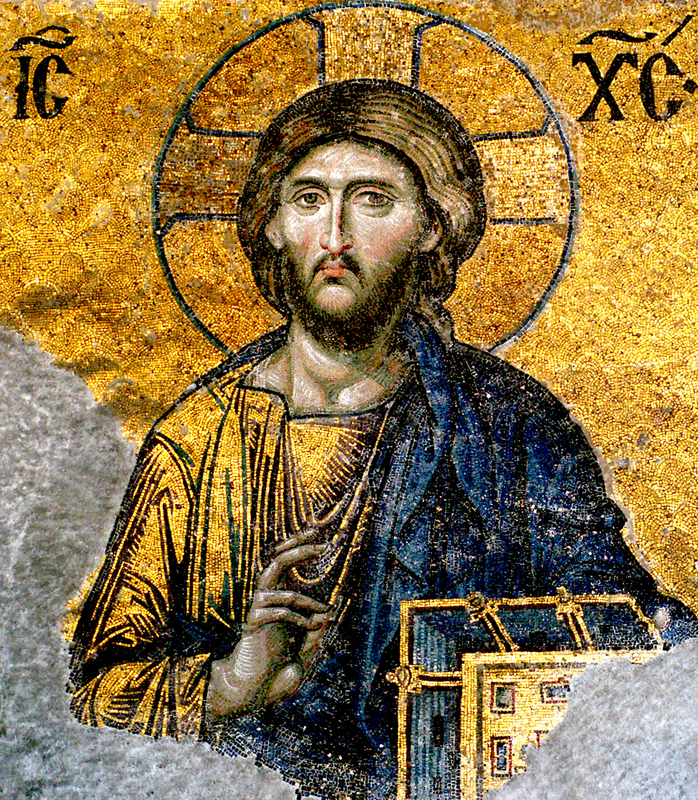 In the early 30s AD, Jesus of Nazareth is arrested, tried and executed in Jerusalem. Within three decades, Christian communities have sprouted up in most cities of the Eastern Mediterranean.